A real estate investment business deeply involved in the student housing and multifamily sectors is staking a bigger claim in senior living through a new joint venture to develop 14 communities. 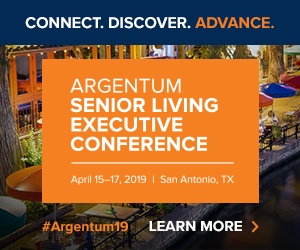 CA Senior, LLC (CAS), the senior housing platform of Chicago-based real estate investing and holding company CA Ventures, has entered into a joint venture with an affiliate of Goldman, Sachs & Co. to develop 14 senior housing communities across the country. Goldman Sachs will serve as a capital provider in the joint venture. The first project in the pipeline is a 101-unit development located in Mason, Ohio. The community will contain 68 assisted living units and 33 memory care units, and is expected to be completed in the summer of 2017. CAS’ parent company, CA Ventures, opened its doors in 2004 with a focus in student housing, but the company has since expanded into multi-family residential, office, hospitality and senior housing. CAS has chosen Senior Lifestyle, a national senior housing operator that has been around for more than 30 years, to manage the first development. In the formation of the joint venture, CAS was advised by Evercore Partners, which acted as a financial advisor, and Polsinelli, which acted as a legal adviser. The joint venture is the latest example of real estate businesses with focuses in other industries partnering with established senior housing operators and capital providers to seize on opportunities in the space. Last year, another multifamily real estate company, Alliance Residential Company, jumped into space with billion-dollar ambitions for a senior housing pipeline. Other recent entrants include The Wolff Company and Drever Capital Management. CAS did not respond to requests for comment from SHN as of press time.